“I came seeking adventure, death, and vengeance… and I found Capharnaum. It called to me with its ancient gods and enmities, its mysterious quests, desert caravans and dusty souks. – From The First Odyssey to Kafer Nahum, by Jilali Ibn Malik Abd-al-Hassan, holy warrior of Kh’saaba. Capharnaum is a land at the world’s heart, close by a sunlit sea. At the crossroads of the trade routes, it’s a strategic focal point for whoever would control access between its lands and peoples. It’s a place where history is made and unmade, where the threads of the world’s fate are woven. The known world is vast. Far to the west, the Quarterian nations – worshippers of the Quartered God – prepare their next Crusade. North of the Inner Sea, the Agalanthian city states are a shadow of their past grandeur, once an empire that ruled the world. But here, in Jazirat, the peninsular land burned by the sun of Hubal, life is punctuated by the comings and goings of the caravans of the Saabi and the Shiradim, and of mercenaries mistrustful of the peace that has reigned in Capharnaum since the end of the Crusade of the Knights of the Quarter. Farther away, the continent of Al-Fariq’n jealously guards its secrets, while from Nir Manel and Asijawi in the distant East come commodities that make fortunes for the merchants of Jazirat – silks, spices, and more. But only the maddest sailors and criminals with nothing to lose dare sail the dangerous Southern Seas. Finally, far from the sea lanes, the Northern Marches are home to the barbarian tribes of the Krek’kaos. Although disorganised, the inhabitants of these hostile steppes and the mountain ranges of their cold-scoured fastnesses raid the sunny southlands every year. It’s said the gods inspire men and women and guide the arms of the faithful when they go to war. It’s also said they take on human form to seduce us, interfere in our feuds, fight at our sides. All this is true! In Capharnaum, mythology is real and being made right now. Gods and demons, djinn and mirages: everything exists. A minor god fallen into madness manipulates men and women to follow his ravings; a mirage leads a caravan into the limbo of the magical world; a djinn gives you a flying carpet if only you free him from a lamp. All these ingredients and more are found in a game of Capharnaum – The Tales of the Dragon-Marked. Part One: Playing Capharnaum, with chapters on character creation, action resolution, science and knowledge, and magic and sorcery. At 140 pages, this contains everything you need to know to create characters and get playing! Part Two: The World of Capharnaum, with chapters on history, gazetteer, and peoples and societies. This is your “encyclopedia of Capharnaum”, with loads of great background material, to dip into for inspiration and deepening your understanding of this fascinating world. Part Three: Al-Rawi’s Guide to Capharnaum, with chapters on mysteries, monsters, and gamemastering. “Al-Rawi” is what we call the game master in Capharnaum – an Arabic term meaning “the story teller”. Appendices: Price lists, character sheet, reference sheets, a detailed glossary, and an extensive index. Full colour maps of the known world and the peninsula of Jazirat. What Do I Do In Capharnaum? Capharnaum is based on the myths, legends, and histories of our own world, but it’s very solidly a fantasy roleplaying game. You play heroes – holy warriors, arcane sorcerers, kings of thieves, merchant princes, scholars, explorers, travellers, and more. The adventures you have can range from zero right through to hero – you can adventure in the danger-filled warrens of ancient cities, intrigue with courtiers, battle with armies against ancient foes, or join with those like you – the mysterious Dragon-Marked – to change the world itself. Capharnaum is a heroic game, filled with action and adventure. What’s the Game System Like? every Dragon-Marked character has one or more *dragon dice* which explode on a 6.
characters have points of Bravery, Faith, Loyalty, and Heroism which can affect how dice rolls work. characters can “swagger” to affect which dice are kept, letting you perform cool stunts to increase your level of success. Magic is semi-improvisational, but also concrete and non-arbitrary. You can define your own spells – even on the fly! – but there are suggested spell lists to get you started. Magic is evocative of the ancient world / Arabian feel of Capharnaum, and powerful sorcerers can do amazing things. The monsters in the core book are focussed on the Arabia-esque peninsula of Jazirat, and include of course things like djinn, marids, and afreeti, and a whole bunch of creatures to give your Dragon-Marked heroes a hard time! The Capharnaum bestiary, Fables and Chimeras, (coming soon!) expands the range of creatures to encompass the whole of the known world – and beyond! How Does Capharnaum – The Tales of the Dragon-Marked Differ From the French Original? Capharnaum – The Tales of the Dragon-Marked is the English-language version of the original French roleplaying game “Capharnaüm – l’Héritage des Dragons”. We’ve made the English version as up-to-date as we could. After lots of discussions and recommendations from the French authors, we’ve taken the new rules which the French second edition presented as optional rules and incorporated them into the main rules systems. Then, we’ve streamlined and tweaked things, again in discussion with the French writers, to produce a set of rules which is probably a “version 2.1” or even “version 2.5”. On top of that, our fantastic backers of the Capharnaum Kickstarter campaign in November – December 2017 have allowed us to produce Capharnaum in full-colour throughout. We hope you’ll love it! How Can I Get Capharnaum? Capharnaum – The Tales of the Dragon-Marked is now available in PDF format from DriveThruRPG and the Modiphius.net webstore. Right now, you can also pre-order the 384-page full-colour core rulesbook from the Modiphius.net webstore and receive the PDF version right away! The physical version of the rulesbook will ship on the 31st August, and will be available in your friendly local games store shortly after! You can also try out Capharnaum for free! We have a quickstart rulesbook and introductory adventure for Capharnaum called “The Tears of Ampharool”, which you can download right now from DriveThruRPG! 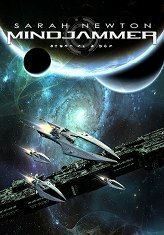 This is just the beginning for this brand new fantasy roleplaying game line from Mindjammer Press! Following the launch of the Capharnaum core rulesbook, we’re now working on the following major releases. The Arcana of Adventure player’s guide, ETA Fall 2018. Fables and Chimeras, the Capharnaum bestiary, ETA Q1 2019. The Mysteries of Al-Rawi GM Screen and GM Companion, ETA Q2 2019. Check out this site and DriveThruRPG regularly for interim releases of PDF adventures for Capharnaum, beginning in September with The Scrolls of Yasminabad. Wait no longer! Seize your scimitar! The fate of Capharnaum is in your hands!